This Friday and Saturday evening members of the Global Warming Solutions Group will be serving up local and sustainable food at the Universal Rhythm Assembly prepared by Eamon Patrick’s. You can also stop by our booth for more information on how you can be the change and become the solution to global warming here in Central Illinois. You can ask us about efforts to get the Peoria City Council to create a revolving energy fund and the newest challenge of incorporating “free” universal curbside recycling for Peoria residents. 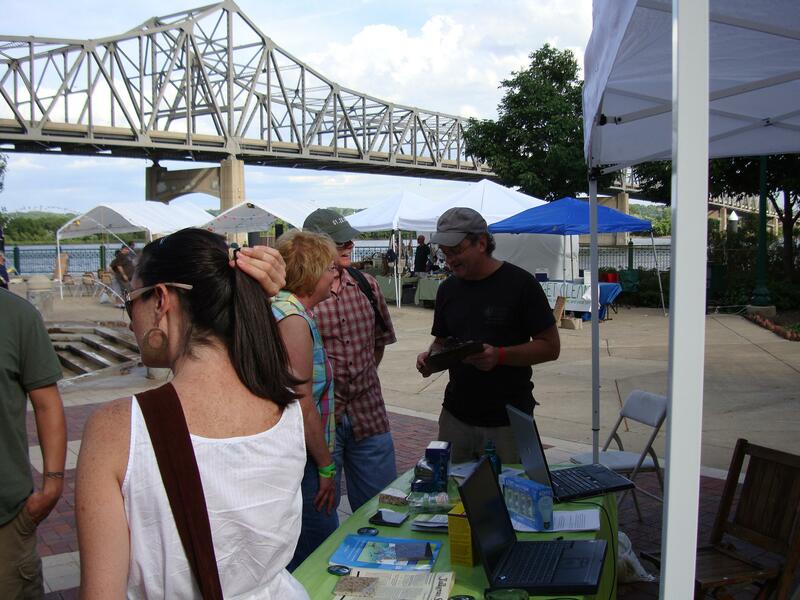 Or how to get involved with with our cool cities efforts in Eureka, East Peoria and others. 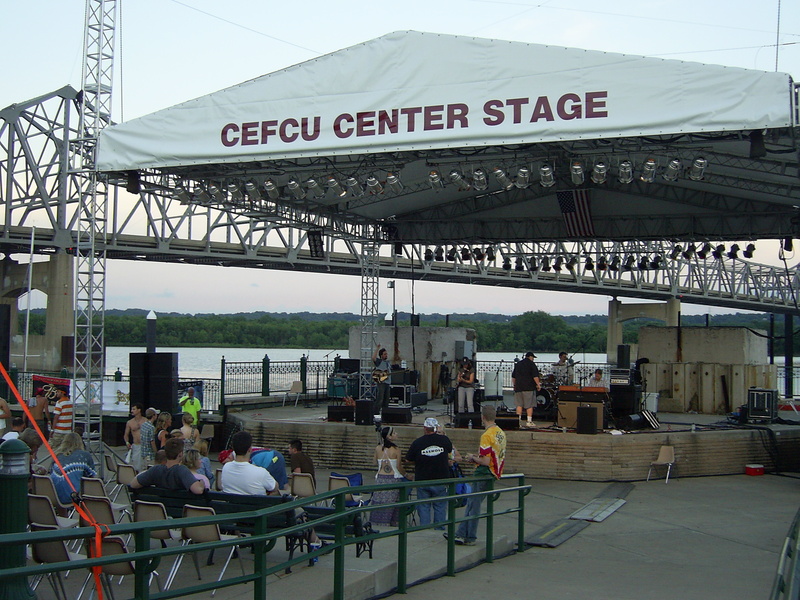 Concertgoers chat with local vendors at the 2008 Universal Rhythm Assembly in Peoria, IL. The Sound Stage at the Universal Rhythm Assembly in downtown Peoria.